Sometimes I am so focused on ‘the next thing’ for Frostgrave, that I lose track of what is actually going on in the present and near future. 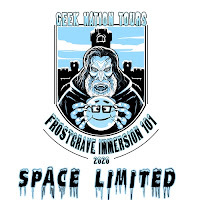 So, for my own sake, as much as that of my readers, I thought it would be a good idea to take a moment and see what is coming up in the world of Frostgrave. Right at the moment, there is a Ghost Archipelago Nickstarter going on. This is mainly for the new plastic Tribals boxset that is about to be released. I was lucky enough to get a sample sprue of these guys, and it’s lovely. I especially like that you can choose to put masks on all of them. Tribals are a necessary accessory if you want to play the scenarios in Ghost Archipelago: Gods of Fire as many of the scenarios either use Tribal allies, or, in a couple of cases, actually have one player playing as a tribe. The Nickstarter is about to reach its first spend goal of a free Greater Cortiki figure for all participants. Later this month comes Frostgrave: Wizard’s Conclave. This is the first Frostgrave book that is mostly written by people other than myself, and includes scenarios written by some of the ‘big names’ in the industry, such as Alessio Cavatore, Andy Chambers, Alex Buchel, Daniel Mersey, Andrea Sfilgoi, Gav Thorpe…and others! 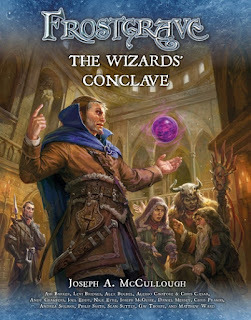 Coming out soon after Wizard’s Conclave is the much-anticipated Plastic Wizards Box Set!!! I also got an advance sprue of these and… well, it is awesome. It’s all sculpted by Bobby Jackson and includes so many cool bits (potions, scrolls, a mouse, a spoon, an owl, just to name a few). I’ve already painted up my new plastic wizard, and I’m just waiting for permission to show him off. In June, it’ll be back to the Lost Isles, with Ghost Archipelago: Cities of Bronze. This one is all about the Dricheans and includes some really big monsters and deadly scenarios. Better bring your experienced Heritors for this one, and maybe round up a few Drichean soldiers to march with you. I have just read through the final proofs for this one, and I’m extremely happy with how it has all come together. It also includes maybe my favourite piece of ‘Burmak’ art to date. It illustrates the scenario ‘Palace of Chains’. 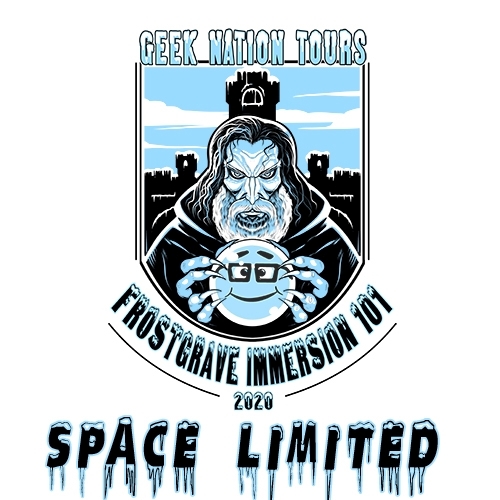 Oh and if you missed the news, don’t forget that the Frostgrave Tour of Tallinn is happening in 2020. Okay, it’s still a year away, but people are booking now, so sign up if you want a place! Will you be at UK Games Expo? Probably, I have been speaking with them about doing a panel or two. Nothing confirmed though. I need to get more games in! This is gonna be a great year for Frostgrave!! Thank you so much for making the Frostgrave: Perilous Dark content. I am finding that I am really enjoying Frostgrave solo or in more of a semi-coop nature. Thank you for this SO MUCH! I was worried what, for me, where frostgrave would go. I couldn't ask for anything more perfect! I'm excited for Perilous Dark too. I'm getting close to finishing the skeletons and ghouls (I painted probably around 50 of them total) for the first book and hope to start a Egyptian themed Frostgrave night at my new FLGS. It's too damned cold here to have winter themed anything. Exciting times on the Frostgrave front! Just about to kick off Lost Colossus so your posting is perfect to get the jucies flowing. Oooooh. Solo Frostgrave... just what I have waited for.